Supersize your combo fun with this Extra Large Frozen Combo that's sure to be the HIT at your next party! Enough room for a party of kids with plenty of fun activities such as bouncing, climbing, sliding and shooting hoops (no balls included)! Please note that price listed is for DRY slide. 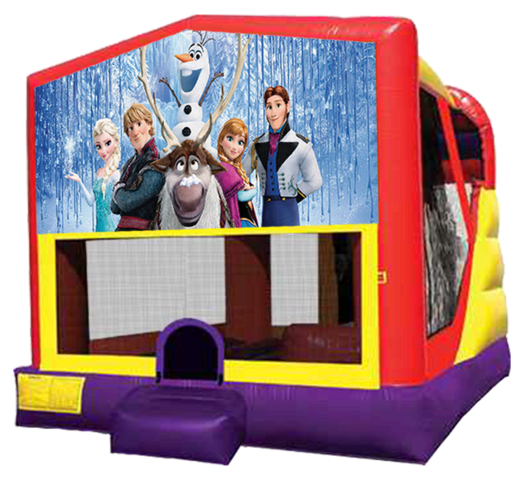 This unit features a fully enclosed slide (kids are not ejected out of unit) and many improved features for safety.